A professional and friendly lending service is offered to you, by us. Venue:- The Milford Room, Seven Oaks Hotel, Athy Road, Carlow. Sean O’Brien, International & Leinster Rugby Player, will attend as our Special Guest and Matt O’Keeffe, from KCLR Farm Show, will act as MC. Full details of the loan product will be made available on the night and our Lending Team will be in attendance to answer any queries you might have. 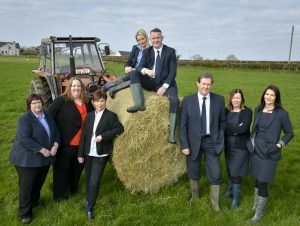 We are confident that this Agri Loan will be a welcome finance alternative for the farming community. There are many advantages to our loans, such as decisions will be made locally and Insurance is included at no direct cost to the Member. There are no penalties for early/lump sum repayments. Our Head Office is in Askea, Carlow, and we have three sub offices in Ballon, Rathvilly and Mayo/Doonane, so we are always local. I look forward to meeting you on the night where we will have refreshments and prizes also. If you have any queries, please do not hesitate to contact myself or any of our Lending Team.